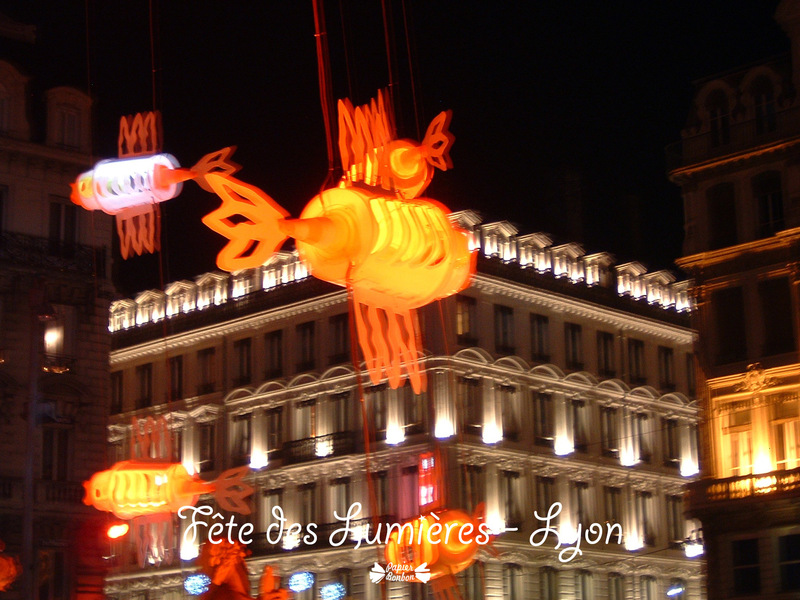 I have been living in Lyon for about 15 years and I feel like home now. 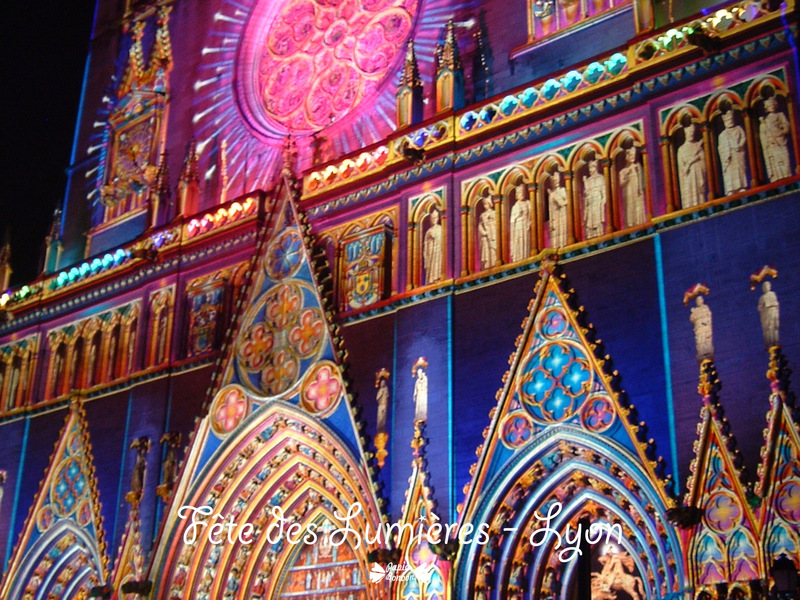 It is the second or third largest city of France. 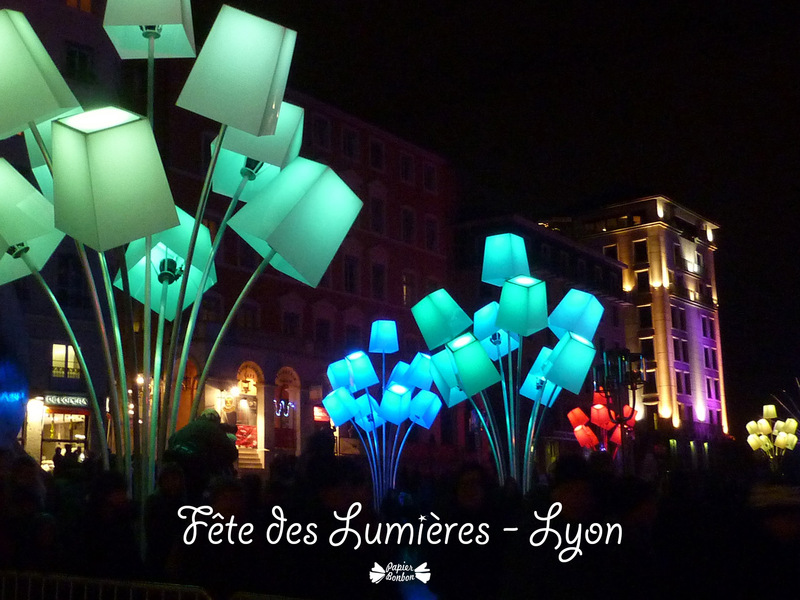 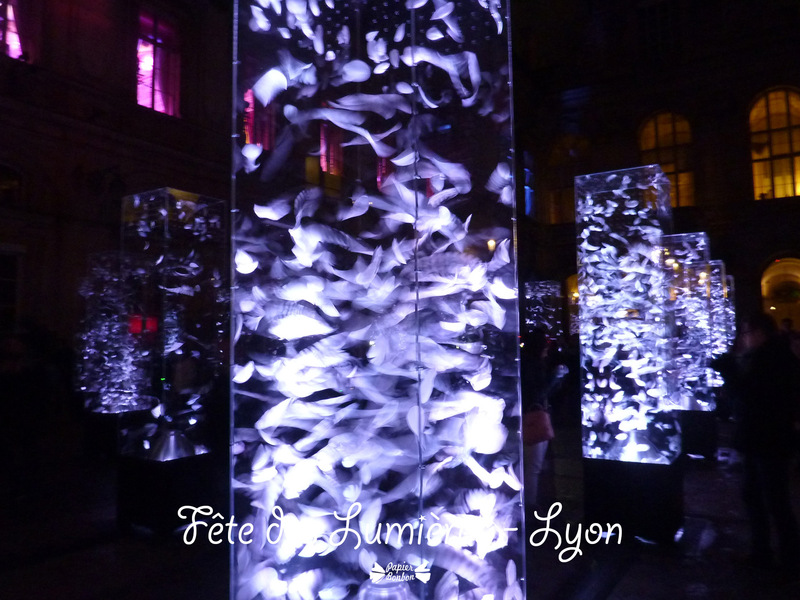 Each year, I anticipate with pleasure the Lights festival of Lyon on the 8th of December – Fête des lumières. 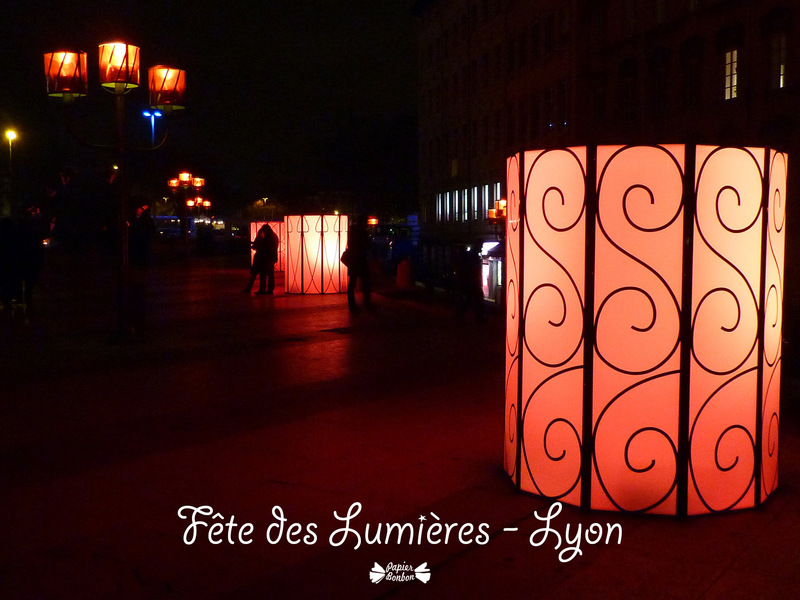 I enjoy the spectacular sceneries created for the occasion or the botherhood inhabitants of Lyon share with this event. 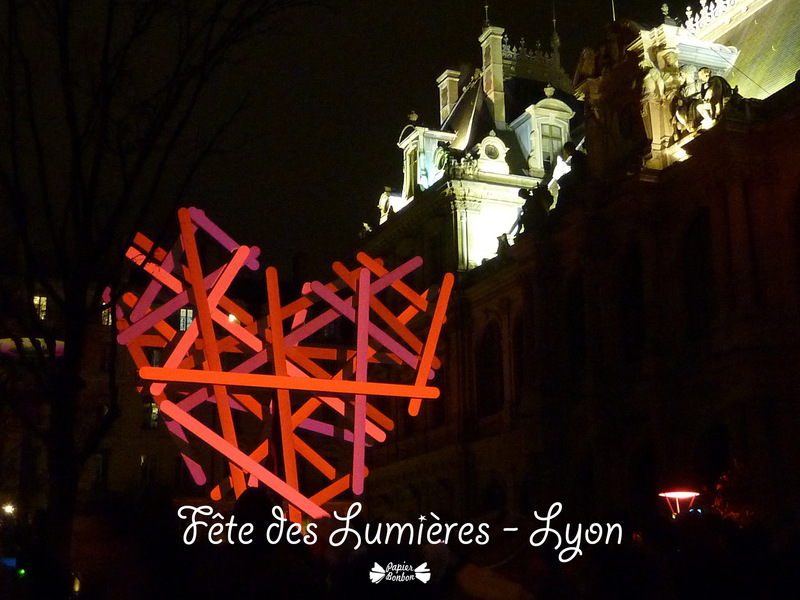 Unfortunately, the event was cancelled as a festival this year du to the tragic events of Paris. 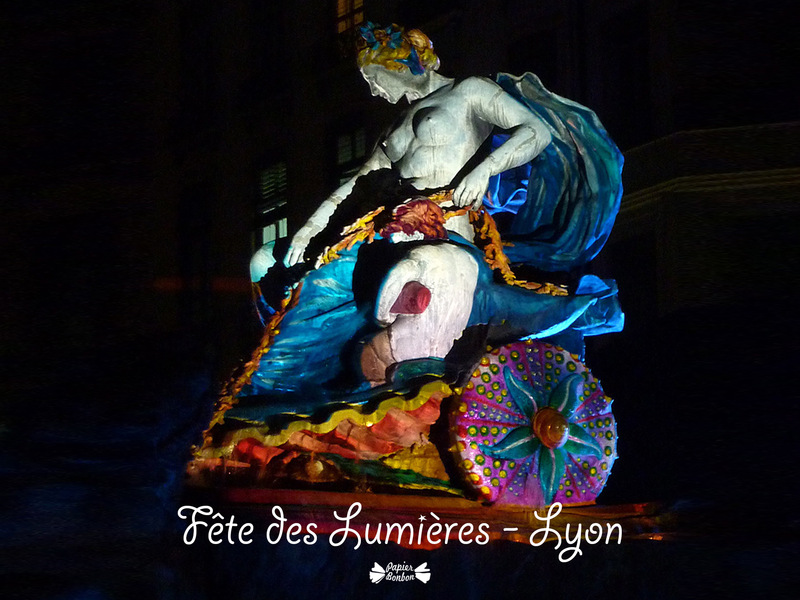 « The Festival of Lights extends the traditional festival of the 8th December, when the residents of Lyon celebrate the Virgin Mary, whose statue stands on the Fourvière hill, overlooking the city. 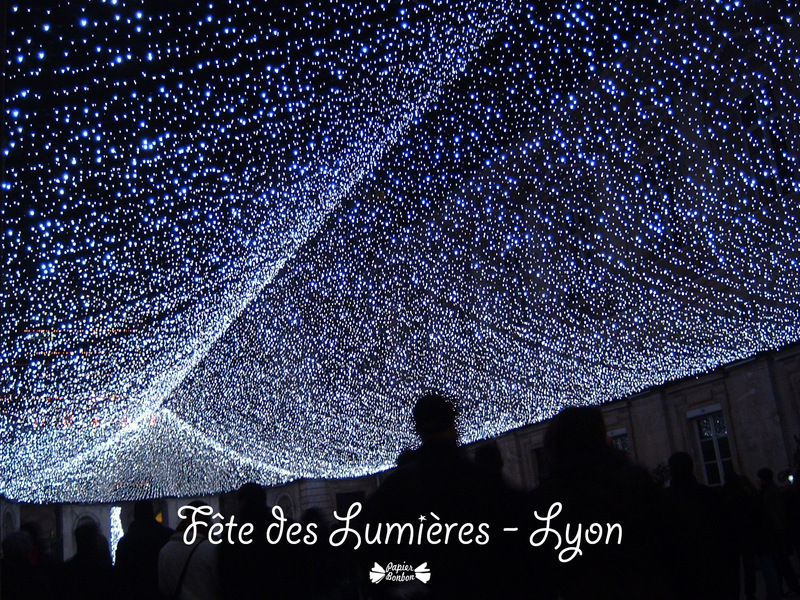 They put candle lamps on their window sills and balconies and wander the streets of the city. 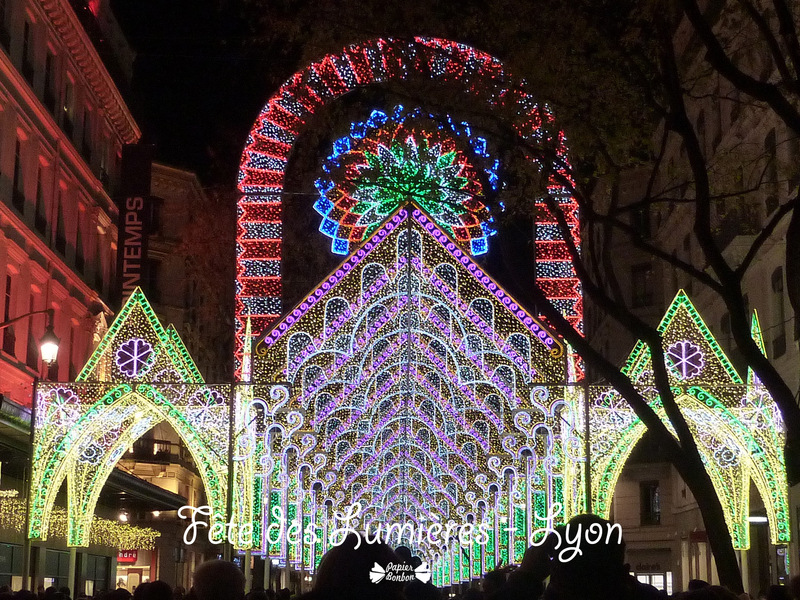 That is why the 8th of December is still a way to share hope and fraternity. 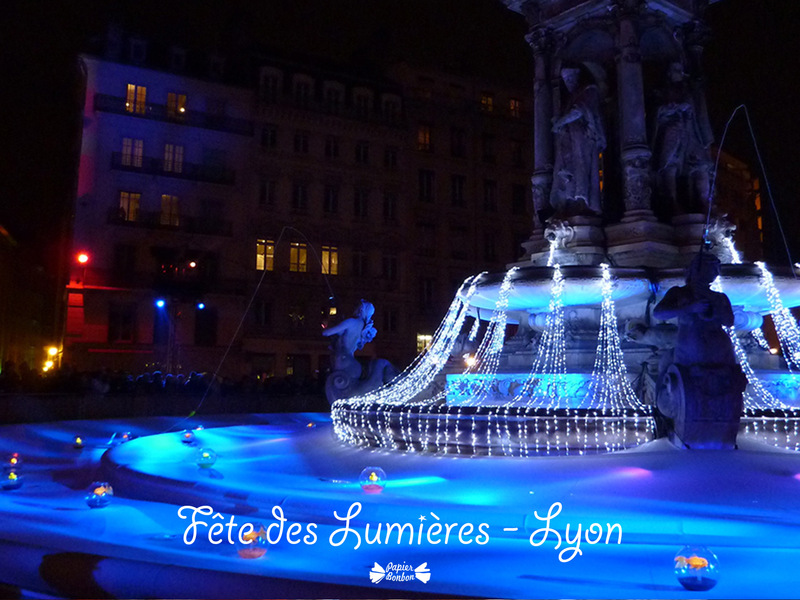 Join the residents of Lyon on the 8th of December. 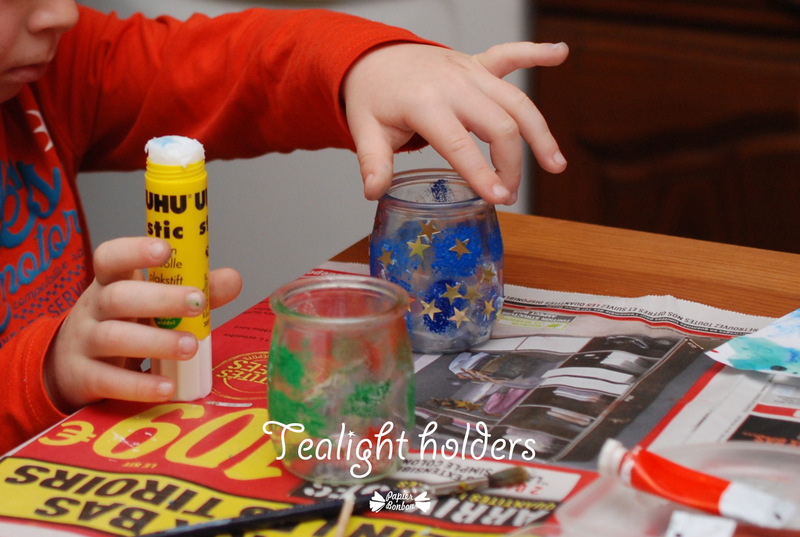 With my children, I have painted many glass jars over the years to prepare the celebration: with stencils, stickers and pretty much sparkling glue… It is always fun. 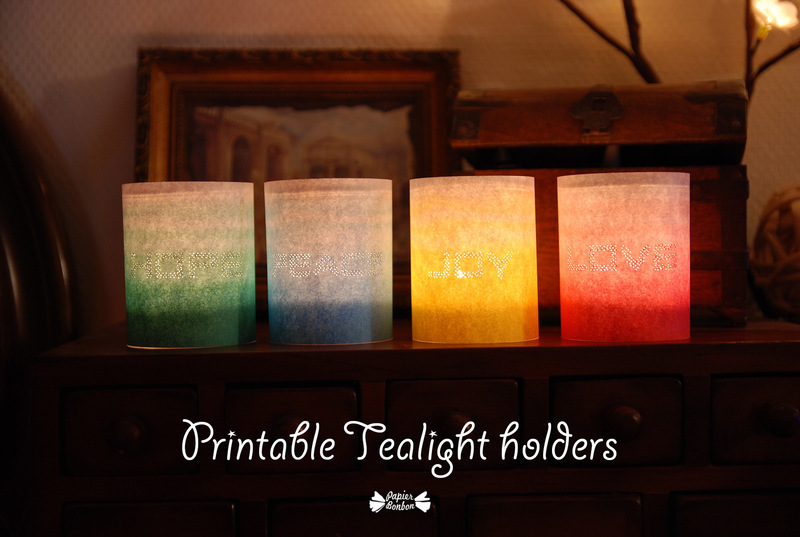 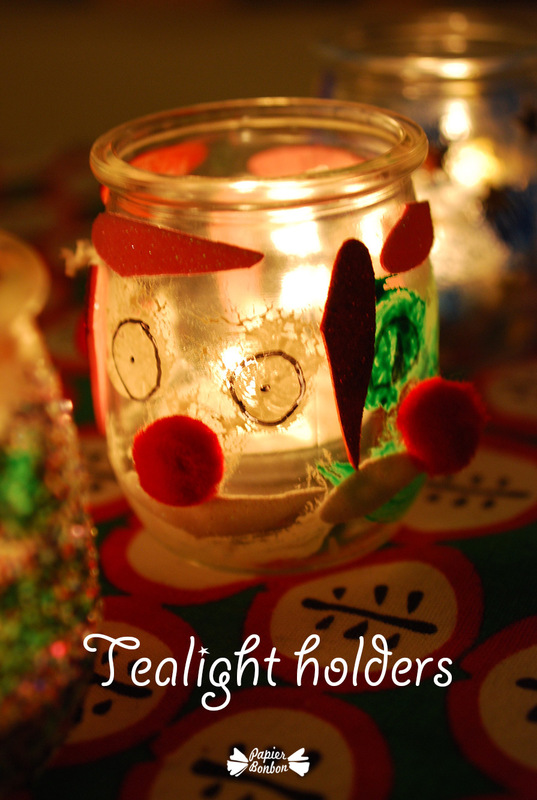 But today, I will share an easy DIY and a printable to create colorful dyed like tea light holders with the best wishes for our world: Love, hope, peace & joy. 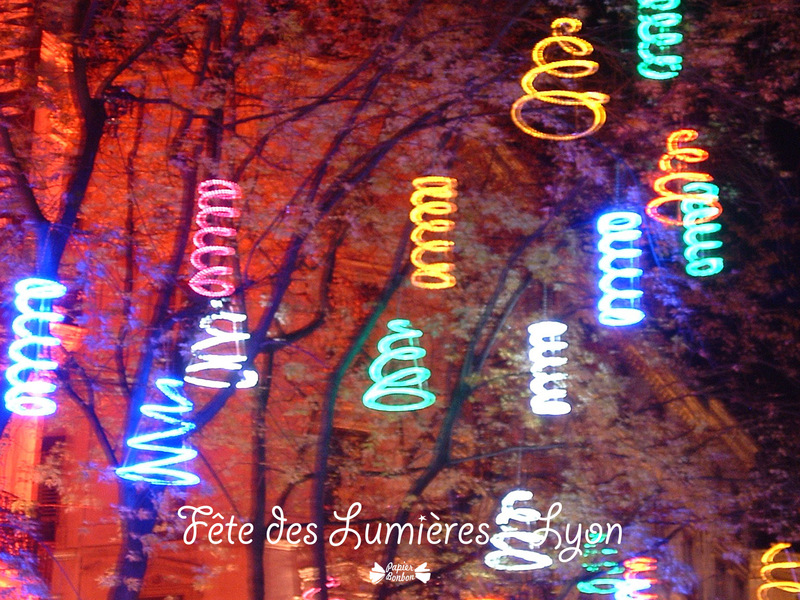 They are inspired from my colorful photos you may want to see at the end of this post. 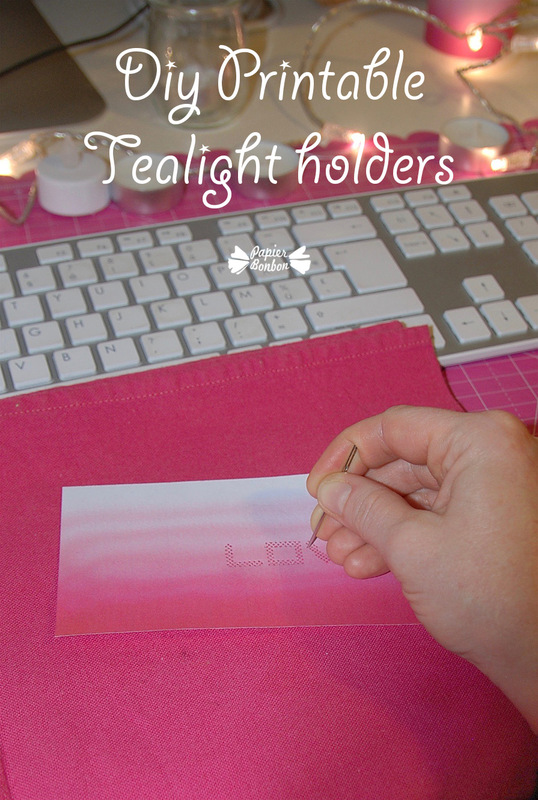 You can use a napkin under your page and punch with a large needle all the points that make the word. 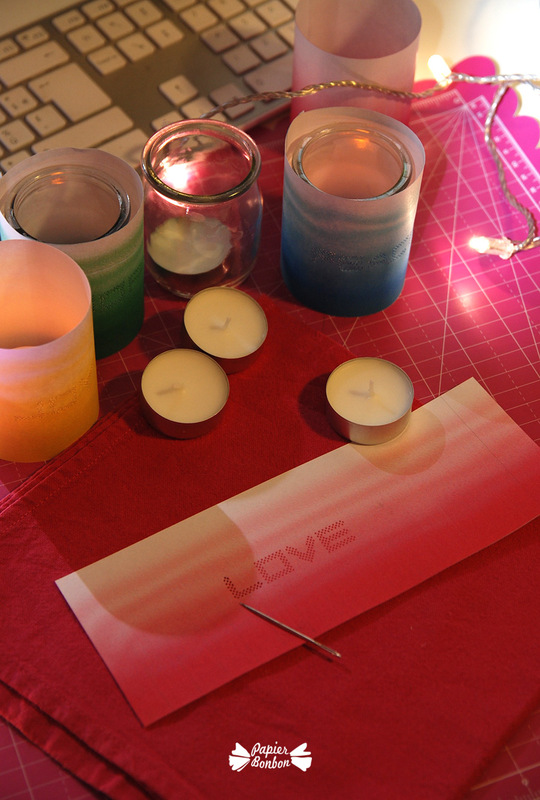 I used glass jar to protect the flam. 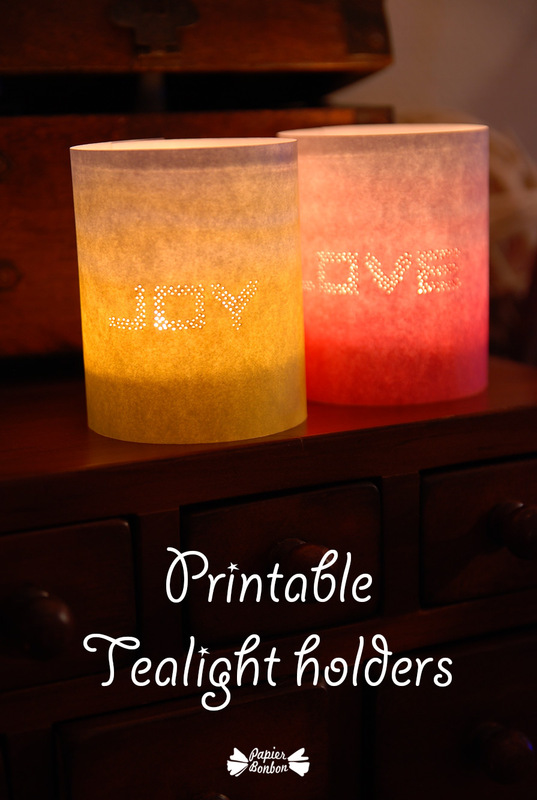 Beware of never using a real candle in direct contact with the paper. 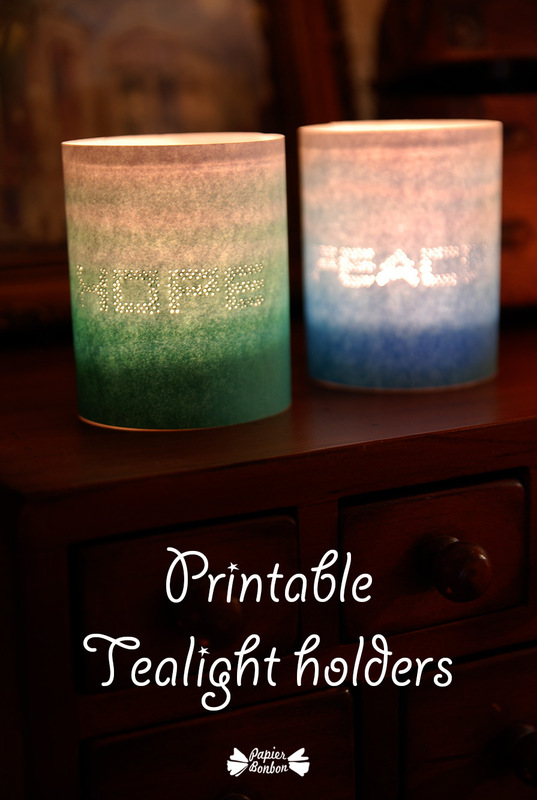 But there is no problem when you use a led tea light. 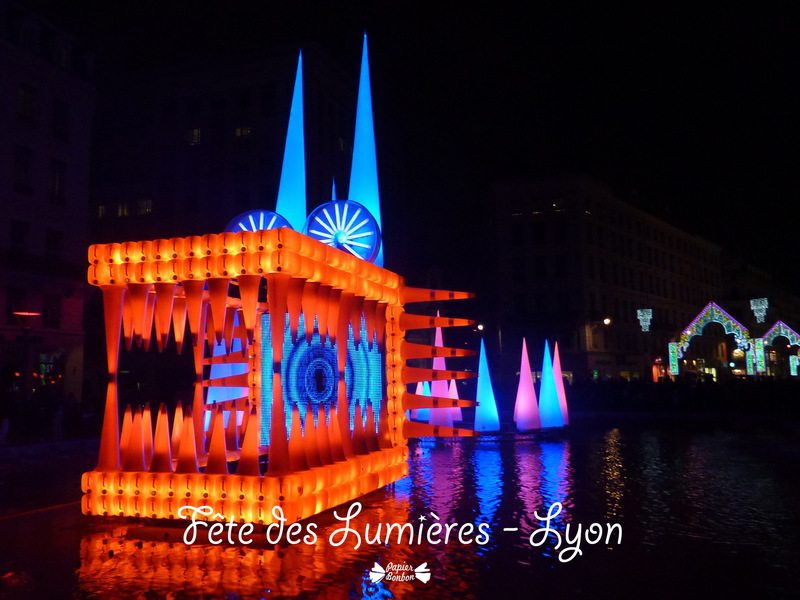 Here are a few snapshots I made along the year of Lyon Festival of Lights. 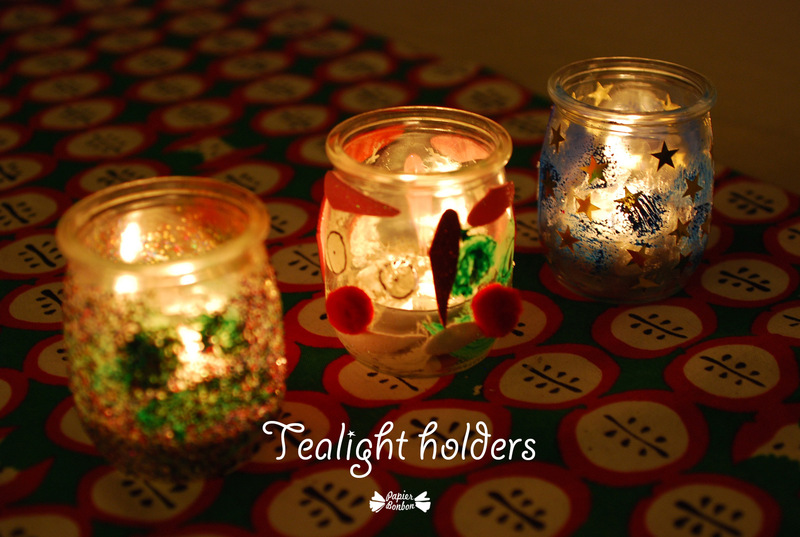 May the light shines across all the darkness.